The Hoverboard has FINALLY come to the San Diego Bay. Everyone has been raving about it and we can barely keep stock. It’s been a long and exciting journey for Aquatic Aviation to be able to offer the Hoverboard, as we’ve faced multiple delays of the Hoverboard release date while keeping customers happy in the mean time! It’s taken a lot of patience, but we couldn’t have done it without every member of our AQAV TEAM! The first day that we got the boards, we were all sitting in the office and couldn’t wait to ride them. We had to get photos first though, and a professional photography studio was calling our name. The team pulled an all-nighter working to get amazing Hoverboard and Flyboard product photos that we could call our own. That night was filled with cameras, lighting equipment, feather boas, big fur coats, and blaring hip-hop and reggae radio. The next day, we finally put the Hoverboard in the water for the first time. We had an amazing day shooting photos downtown, and this time we brought a videographer. This was an amazing experience. 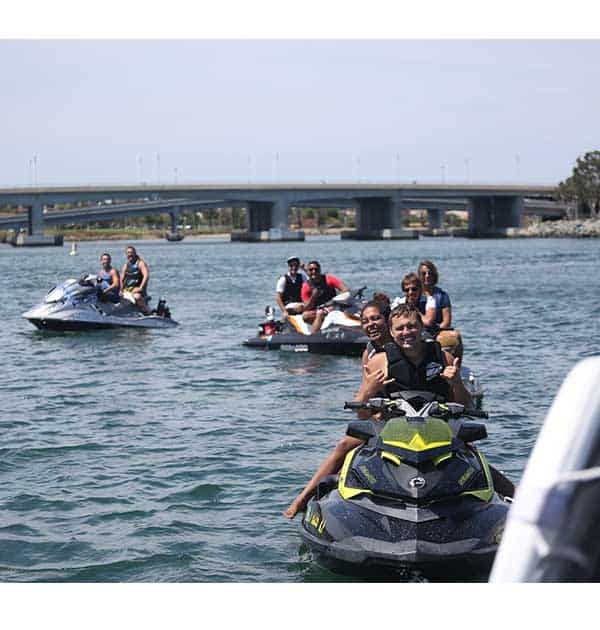 We teamed up with Adventure Rib Rides to use their RIB boat for filming in front of the San Diego’s beautiful downtown backdrop and the Coronado Bridge. We were also joined by some friends from the Flyboard Family, the Lake Elsinore Flyboard team. We were able to catch amazing views and we all get a shot at trying the Hoverboard for the first time. Thanks so much to Captain Ray, Jordan, Chase, Charlene, Travis, Mike, TJ, and InsideHook for being a part of that filming day! You can catch some of that footage here, along with an article that InsideHook did on AQAV!